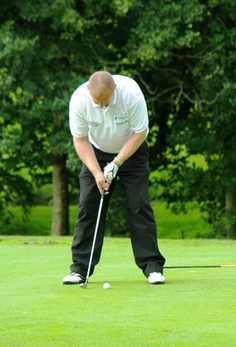 The inaugural Argyle Legends v Exeter City Legends golf match took place at Elfordleigh Golf Course on 11/09/08. 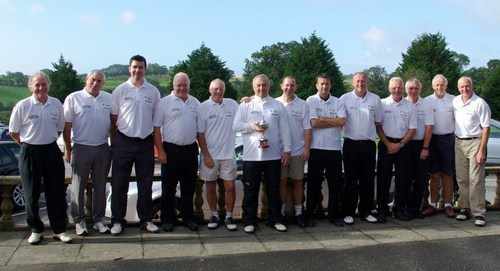 A trophy, donated by Argyle Legends committee member Tom Finnie in memory of his late father, also Tom, was up for grabs. For once the rain relented and the match took place under generally sunny skies although conditions underfoot were worthy of a long stud. 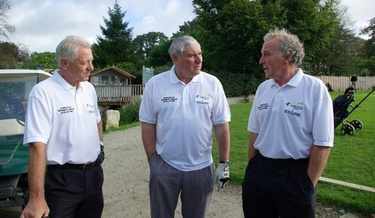 Familiar faces soon began to stroll bleary-eyed towards the clubhouse. 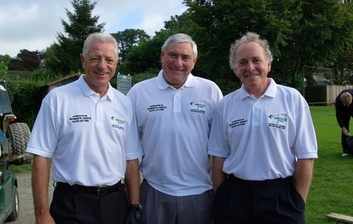 The dressing room style banter began early over coffee and bacon rolls, before the players embarked on the morning foursomes under the watchful gaze of non-playing captains, Steve Davey and Alan Banks, who were both on the injured list. By the time the combatants returned to the clubhouse for lunch, the match was evenly poised at three apiece. 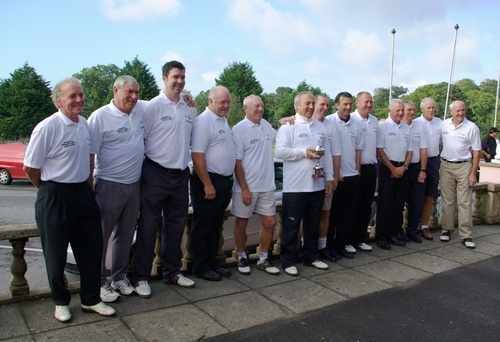 The afternoon format comprised twelve head to head matches and it soon became apparent that the Exeter team had taken a more disciplined approach to their lunch as the Argyle Legends began to explore previously undiscovered parts of the magnificent Elfordleigh estate. As dusk began to fall, the players wearily concluded their rounds. It soon became clear that the Argyle Legends had suffered a good thrashing. When the scores were totted up, it was Exeter who took the spoils, winning the afternoon matches by 8.5 to 3.5 and thereby winning the match overall by a comprehensive margin of 11.5 to 6.5. 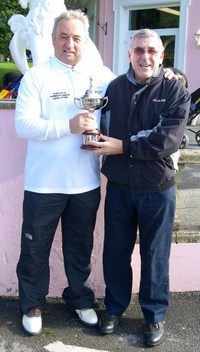 A dinner followed, with Alan Banks gleefully accepting the trophy and Steve Davey vowing to bring the trophy home when the return match is played in the Spring. The players also donated generously to a charity raffle which raised over £300. Grateful thanks are extended to the Argyle 50/50 lottery, Whitbread Breweries and Exeter City FC who all generously sponsored the event.